Is Kim going down Gorbachev's path? Is North Korea's Kim Jong-un going down the path of the last Soviet President Mikhail Gorbachev? The two have converged a lot so far, but of course we know about the end of Gorbachev's story, while Kim's remains open-ended. Gorbachev had pushed for glasnost (openness) and perestroika (restructuring) and was hailed for it by western media, but his effort ended up hastening the demise of the Soviet empire, which rivaled the U.S. and ruled the half the world ideologically. Kim Jong-un, the third dictator in the North's quasi-communist dynasty (sounds like an oxymoron), is catching the world off guard with his bold attempt to open up his reclusive kingdom. He recently declared that becoming a nuclear weapon state, one of the North's two goals -- under the "Byeongjin doctrine" -- has been achieved, enabling him to focus on the other -- economic development. So Kim has started on a bold path as Gorbachev did. There are many interpretations about Gorbachev's role in the Soviet collapse. One is he made a fatal mistake in giving away the store, thinking he could pull off the Soviet turnaround. That confidence derived from his close association with leaders of the West -- U.S. President Ronald Reagan, West German Chancellor Helmut Kohl and British Prime Minister Margaret Thatcher. 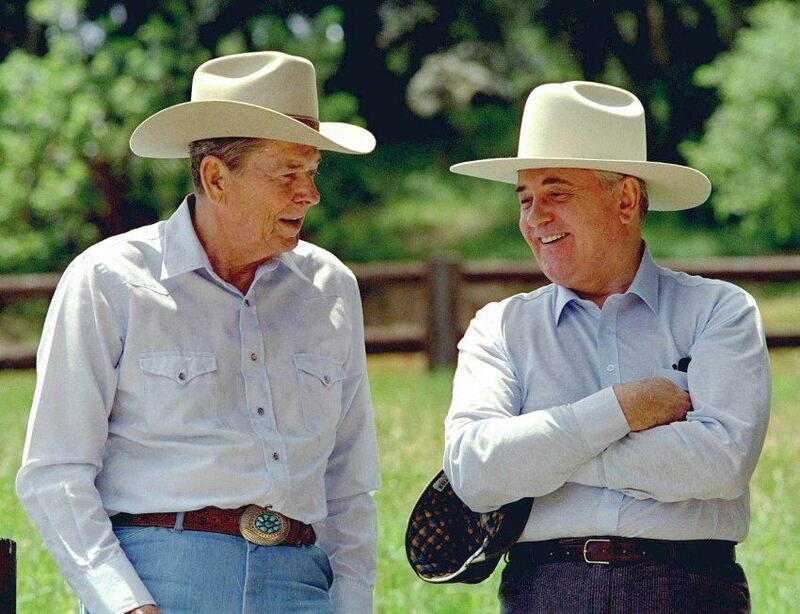 Gorbachev was drenched with the most potent aphrodisiac -- power derived from what turned out to be his wrong belief that he together with Reagan, Thatcher and Kohl could change the world as he saw fit. Kim, estimated to be between 36 and 34, could not be blamed for having a "Gorbachev moment," if he is already is having one -- seeing his popularity rise among the people of the enemy state, the South after the April 27 inter-Korean summit with President Moon Jae-in at the Panmunjeom truce village at the middle of their heavily fortified border. Chinese President Xi Jinping had rushed to meet Kim twice in less than two months, although the second Dalian meeting was held at the North's request, according to Chinese media. 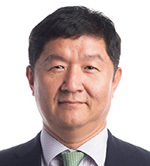 It had been said that Xi had abhorred Kim for his brutal purge -- executing his uncle and pro-Chinese Jang Seong-thaek -- and Pyongyang's dynastic rule. Interestingly, Xi has taken the first step of emulating the Kims through the change of rule that struck out a term limit as ultimate leader and enables Xi to govern continuously. Kim will head to Singapore for the first-ever summit with U.S. President Donald Trump in Singapore on June 12. He will surely fly to the city state as he did to Dalian for his summit with Xi. His father and grandfather -- his predecessors -- surely did not think of having a whirlwind of summits with the global leaders or leaving the North at an obvious risk. The Soviet Union of Gorbachev was overstretched through its arms race with the U.S. and was pushed to the verge of collapse. The North is known as an economic basket case that can only be worsened by international sanctions, although there are signs of mild recovery after the young dictator took over. The West of Gorbachev's time was kind to him, Reagan, Thatcher and Kohl taking him to be one of them, innocently believing that the end of the Cold War was more important than vanquishing the Soviet Union and that the communist behemoth could somehow change into a capitalist friend. This time, there is no sign of innocence on the U.S. side. National Security Adviser John Bolton talked about taking the North's nuclear gear to Tennessee as happened in the case of Libya. Secretary of State Mike Pompeo offered to help North Koreans eat meat if the North gave up its nuclear weapons. Even acknowledging that such rhetorical flourishes are part of a pre-summit joust, after denuclearization -- if it happens -- the U.S. wants to see a North Korea sans Kim.